To study networks of seed circulation through analysis of network topology (section 2). To improve the prediction of a target variable for selection through analysis of agronomic and nutritional traits but this is not done in PPBstats. To compare different varieties or populations (hereafter called germplasms) evaluated for selection in different locations through analysis of agronomic and nutritional traits (section 3) and sensory analysis (section 4). To study the response of germplasms under selection over several environments through analysis of agronomic traits (section 3). To study diversity structure and identify parents to cross based on either good complementarity or similarity for some traits through analysis of agronomic traits (section 3) and molecular data (section 5). For each objective, there are severals method based on different experimental designs based on number of plots per location, the number of locations, the number of replicated germplasms within and between locations (section 3.2) … all being dependant to the amount of seeds available. Figure 1.1 and 1.2 present a decision tree with all objectives, experimental constraints, designs (D) and methods (M) of analysis carry out in PPBstats. Each branch is explained through an example for each experimental design and analysis in the corresponding section. Figure 1.1: Decision tree with objectives and type of analysis carry out in PPBstats. 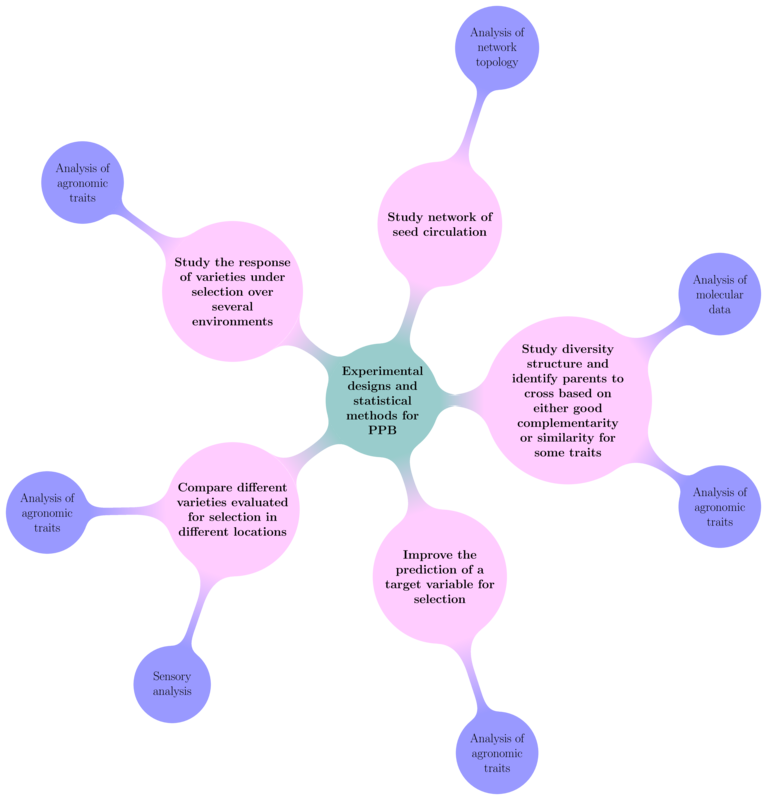 Figure 1.2: Decision tree with objectives, experimental constraints, designs and methods of analysis carry out in PPBstats. D refers to designs and M to methods.